On our way to Edinburgh for the first time, we stopped for an afternoon in York. There were lots of things we wanted to see, but our time was limited. 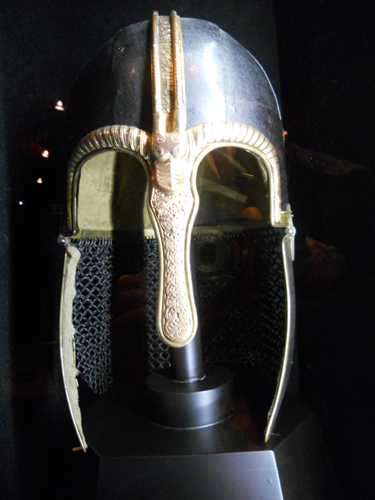 We settled on one thing; the Jorvik Viking Centre, which my husband was eager to visit. The Jorvik Centre is built over top the remains of an archaeological dig, undertaken before the building of Coppergate Shopping Centre, an open-air mall which now occupies most of the former dig site. More than just a museum, the Jorvik Centre offers a glimpse back in time to the days when vikings occupied the city of York. 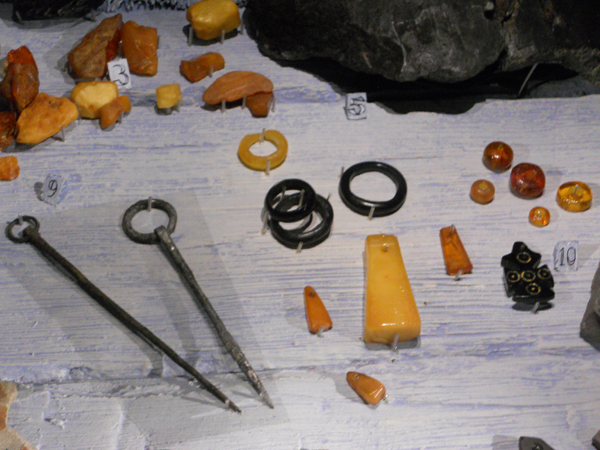 The site was excavated between 1976 and 1981 and over 40,000 objects were recovered. The first room of the Jorvik Centre contains a glass floor and, beneath it, a reconstruction of the dig site. You can wander the room with a small guide that indicates where certain objects were found, including the foundations of a house and hearth. Then you return your guides as you get in line for the main portion of the experience; the ride. The central feature of the Jorvik Viking Center is the ‘time capsule’ ride which takes you back to 5:30pm on the twenty-fifth of October 975 AD. As the small car weaves through the reconstruction, vikings talk in Old Norse about the day’s activities. You pass through all the major portions of a viking village, including the market where an argument takes place over what should be cooked for dinner. You also pass through at least two reconstructed houses; an ‘older’ one-story house, and a ‘newer’ two-story house. The wax figures that populate the reconstructed village are based on the remains recovered from the site. The ride even features authentic smells, some of which aren’t pleasant. At the end of the ride is a more traditional museum featuring artifacts recovered during the dig. The most appealing aspect, however, is that several of the employees dress as vikings and interact with the guests in character. There was at least one school participating in a field trip during our visit, so we got to listen in on a few of the vikings’ presentations. 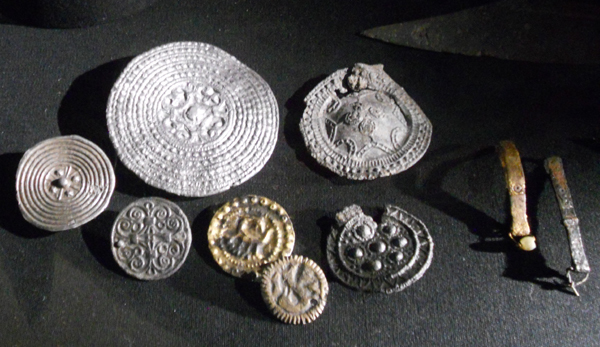 The kids’ favourite was the money making stand, where one of the vikings made ‘authentic’ viking coins using the method they would have used at the time (that is, slamming a hammer against a piece of metal and two moulds. 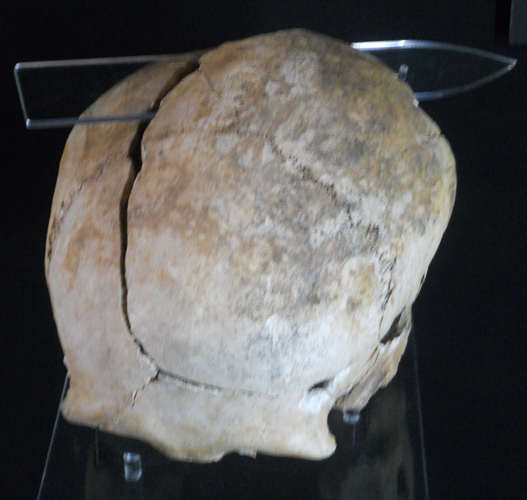 Most of the exhibit focused on the daily lives of the vikings who lived in York in 900 AD, but it also included remains that had been uncovered during the dig. There were a few full skeletons with a list of their ailments at death, which indicated the average health of the villagers. 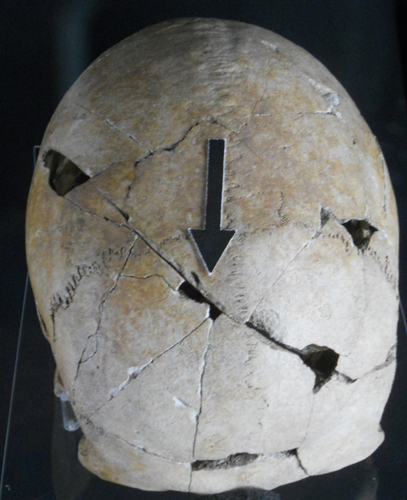 There were also a series of skulls marked by viking weapons including explanations of how the injuries would have been sustained (well photographed as they will make an excellent writing resource). It was a short stop on a large trip, but certainly not a forgettable one.